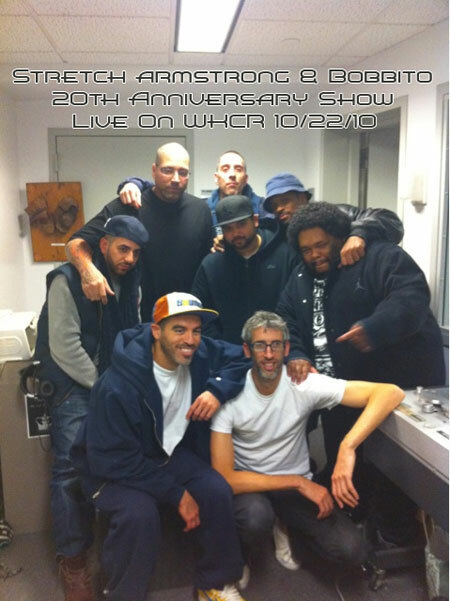 It was weird hearing a ‘new’ show that wasn’t coming off a tape, but it was equally weird that this was actually the first time I got to hear Stretch & Bob on KCR live, as opposed to a month down the line on a Maxell that winged its way over the Atlantic to me. Anyway, the show was dope – classic bits and pieces of music, but you mostly want to listen to this for the general tomfoolery. There is NO other show before or since with as much clowning… and since clowning is the forgotten 46th element of Hiphop, this is a MUST LISTEN. Follow Stretch Armstrong on twitter. Follow Lord Sear on twitter. Thanks for sharing, your time and efforts are highly appreciated.